Lisa Teresita Pacheco Macuja-Elizalde garnered worldwide accolades for her exceptional performances throughout her career in ballet dancing. She is a revered and esteemed dancer and is known for her roles in classical ballet productions such as Swan Lake, the Nutcracker, Don Quixote, Giselle and, Romeo and Juliet. She was the first Filipino prima ballerina and the first foreign soloist to join Kirov Ballet, the most sought-after resident classical ballet company of St. Petersburg, Russia. During the high points of her careers, she was an international guest artist performing all over the world. It’s no wonder that Macuja-Elizalde is hailed as one of the pearls of the Philippines. Macuja-Elizalde was steeped in the Russian Vaganova technique. The Vaganova method was created by a Russian dancer and pedagogue named Agrippina Vaganova. It is a training system aimed to fuse elements of traditional and romantic French style with the Italian Cecchetti technique which was characterised by athleticism and virtuosity. Agrippina Vaganova used Marius Petipa, the Premier Maitre de Ballet, as her reference. Vaganova perfected and cultivated her teachings and solidified classical ballets place in the order of the world. The Vaganova method is designed to increase the consciousness of an individual of one’s body by involving everything in every movement. The upper body, limbs and feet are paid equal attention. What the technique does is create harmonious and synchronised movements that can reflect a greater expressive range. Classical Ballet is a highly technical dance requiring grace and excellent control. It includes the development of lower back strength, arm plasticity, flexibility and endurance. That’s why Elizalde has to struggle constantly with her body, her instrument of art. She had to take a lot of painkillers, anti-inflammatory pill, and steroid shots to be able to keep practising the art. Giving up was not an option for her. It was a hard and arduous journey to reach the top. She had to practice day in and day out to perfect the craft. Through her many years practising the art, she has incurred several injuries including stress fractures on both of her legs. She has tendonitis and a ruptured plantar fascia. She still has many other battle scars from the years of rigorous practice. After many years of training, Elizalde has perfected her craft. Elizalde’s ballet can be said to be an aesthetic experience as she expresses intense emotion in her every movement. Her performance is always bursting with life and vitality, making her audience feel the acute passion in her dance. After a fruitful and fulfilling career as a prima ballerina, Macuja Elizalde is now semi-retired. She decided to devote her time to teaching the younger generation. She founded a school for the aspiring Filipino ballerinas and danseurs called Ballet Manila. 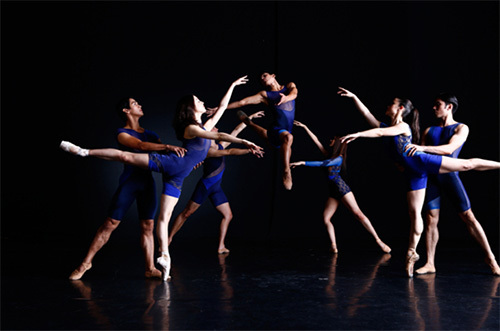 During the first ten years, Macuja-Elizalde has led her company to several performance tours. Her primary aim is to spread the joy she found in the art of ballet dancing and pass on what she learned during her years of practising the Russian Vaganova Method and experience as a prima ballerina. With the hope of promoting art consciousness in the future generation, Macuja-Elizalde hopes that her ballet school can help people understand and appreciate ballet more deeply. Today, Ballet Manila is still going strong. Her company is always growing in number. Macuja-Elizalde is proud of her lifetime work, and she considers the school she built her legacy. Macuja-Elizalde remains one of the most famous classical ballet dancers in the world. Her influential role in growing the appreciation of ballet worldwide, her talent and technical proficiency make her a legend amongst aspiring ballerinas and danseurs.